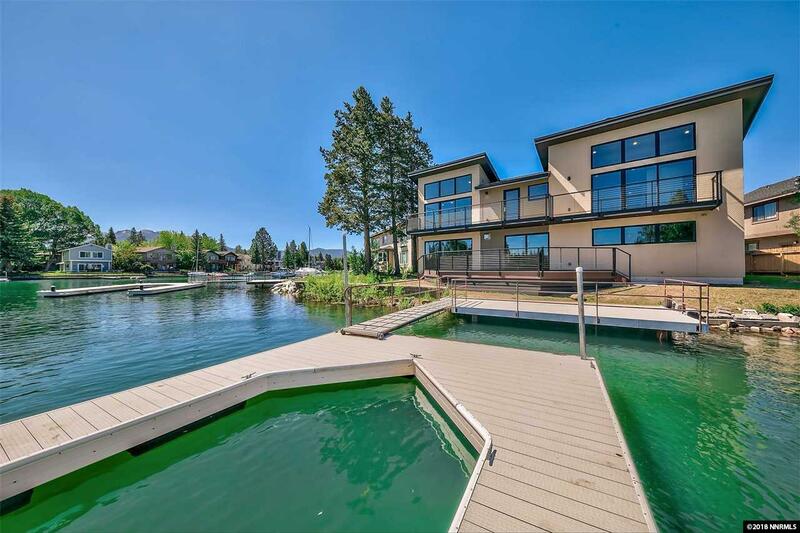 Mountain Contemporary design offering elegant downstairs living lavished with opulent features.Over 100' of water frontage with sublime wide water views. Plenty of room for watercraft while still maintaining a tranquil setting. Enjoy the epicurean kitchen with top-of-the-line appliances, quartz slab counters, white oak wood flooring, stylish concrete gas fireplace, smart wired and hard wired smart security system, recessed media room with full walk around bar and a guest en-suite.